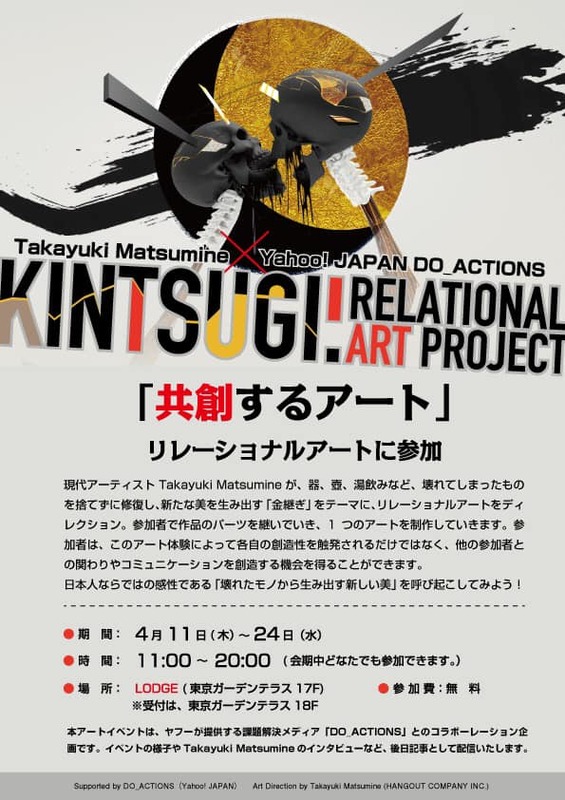 Takayuki Matsumine will direct a relational art project “Kintsugi” with collaborating Yahoo! JAPAN Do Action projects. The event will be hold this coming April at LODGRE in Yahoo! Japan’s building, and the event will open for 2 weeks. Anybody who are either interested of Art or not can join for free.